Go beyond traditional multiband compression. The Sonnox Oxford Dynamic EQ plug-in for UAD hardware and Apollo interfaces gives you high-level control over the frequency content of your audio, helping you tackle the most demanding production challenges whether you’re mixing or mastering. The first dynamic EQ on the UAD platform, the Sonnox Oxford Dynamic EQ plug-in is an excellent alternative to multiband compression, allowing you to sculpt and shape your sources with unending precision. The Oxford Dynamic EQ plug-in gives you the best of both worlds — the precision of a static EQ, and the responsiveness and flexibility of a multiband processor. It also lets you dynamically shape the tone of your music without any of the phase artifacts or latency issues common to multiband compressors. Unlike multiband compressors, which use crossovers to rigidly split up the frequency spectrum, the Oxford Dynamic EQ’s five frequency bands can overlap fluidly, giving you greater flexibility for both character modification and corrective processing. 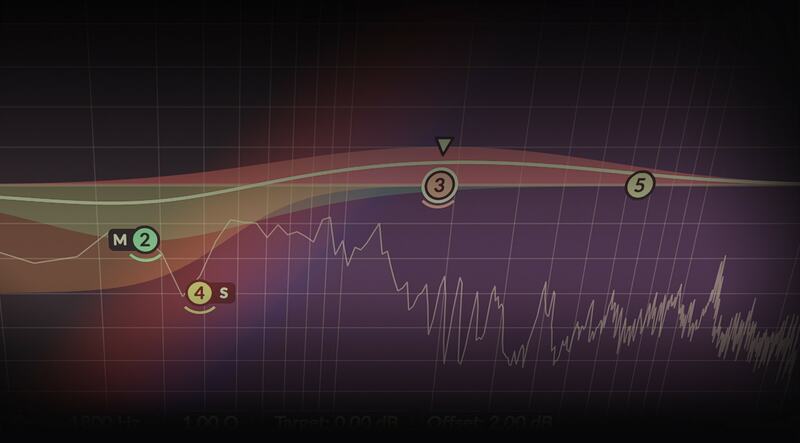 The Oxford Dynamic EQ plug-in’s Onset Detection lets you set the EQ processing to be triggered by transients. This provides you with a new level of precision for boosting or cutting percussive sources and even for controlling vocal sibilance. The Oxford Dynamic EQ offers multiple ways to refine and target its processing, giving you unprecedented flexibility. For each band you can choose stereo, mono, or mid-side operation, frequency-specific or onset detection or both, upward or downward compression or expansion, and independently adjustable side chain filters. Despite all its power and tweakability, the Oxford Dynamic EQ is as easy to dial in as a traditional EQ plug-in, and its user interface is logical, intuitive, and non-intimidating, whether you’re an experienced pro or a studio novice. We liked it alot , used in our studio Himlalyd. Makes the sound natural and smooth sounding. recomanded from us !!! I am normally not one to dwell on negativity, but without the sidechain function (that every other version of this plugin has, by the way!) I don't know what value this is supposed to have. Shame on me for buying it before reading that Oxford does not offer sidechaining on the UAD version like it does on the native. If you ask me, that means that the UAD version isn't done being developed yet and isn't ready to be sold. Complete waste of $199. I've never regretted another UAD plugin purchase but I wish I could get my money back on this one. The Sonnox Oxford Dynamic EQ is my favorite Tool to get some bad sounding frequencies in the range. mFor example some resonant bass tones. You can set the threshold for the problematic frequency and nothing is missing, but the overemphasized tone is in a good range. Absolutley a MUST HAVE! Not seldom you have a piano, an acoustic guitar, or a bass which has some tones which are sticking out too much when played harder. Those tones you can take care of with this dynamic QE which does an excellent job. I have a similar plugin from Waves as well, but this one sounds cleaner. This plugin doesn't add any color and that's great! Though it consumes some DSP power, so it's not for every track. I'm new on UAD platform, I bought an Octo pcie card. I was really more than disapointed when I noticed that UAD plugins do'nt have and can't use any daw external sidechain signal. I purchased the Sonnox Oxford Dynamic EQ for that purpose ! The plugin it self is absolutelly perfect. I think the best on the market but without external sidechain, its interest drops down radically ! 10 or 15 years ago, I bought a powercore (which I still use) and the Sonnox Oxford Dynamics. At the time, I discovered that I could also download and use the vst version without extra-cost. So I asked to Sonnox support if it was still possible with their UAD plugins. And it wasn't. But they sold me the native version for 50% of the price. I'd really like to see UAD updating any of their dynamic plugins for working with external sidechain signal ! This thing seriously sounds incredibly smooth. One thing I haven’t found in dynamic eq is the ability to control the dynamics in a musical way. Usually you can get the job done with other dynamic eqs but you can usually hear it. This thing does a great job at staying out of the way while still doing its job. It’s a must demo if not a must buy. An EQ on another planet ! Forget the rest... DMG, Waves, Fabfilter.. any of them.. this is utterly phenomenal if you know what your doing with it. Subtle Sweet and Really Useful! I great eq compressor combined. I Very subtle yet rather sophisticated. Finding myself using it a fair bit on mixes. Algo imprescindible a la hora de mezclar y eliminar esas resonancias molestas pero solo cuando pasan de un umbral. Me parece un plugin realmente genial y muy útil y necesario. This is one of my 1st plugins in a chain for almost any separate track. In a past I removed resonances using usual (static) EQ. Now I use only Oxford Dynamic EQ for this task, because it cuts frequencies only when you really need it and it lets music sound in a full range at the rest time. Erg fijne Dynamic EQ, werkt snel en doet precies wat het moet doen.